When Jesus was born in Bethlehem, the Wise Men (or Magi) came from the east to worship him. Some say they were kings, others astrologers. They went to Herod, the king, looking for the newborn king of the Jews, the Savior. 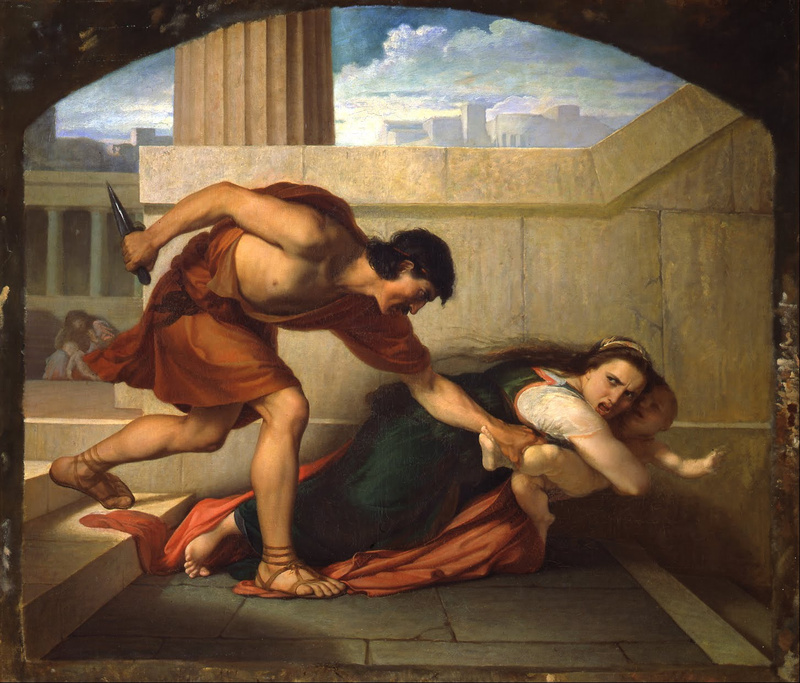 Herod was a cruel and clever bully. When he heard that these Wise Men were looking for a newborn king, he began to worry about losing his throne. But he did not let the Wise Men know what he was thinking. He called in his chief priests and asked them where the Bible says the Messiah was to be born. They answered: Bethlehem. The Wise Men agreed and continued on their way, following the star. They found Jesus the Messiah, with Mary and Joseph. They adored him and offered their gifts of gold, frankincense and myrrh. But in their sleep an angel warned them not to go back to Herod. Then an angel asked St. Joseph to take Mary and Baby Jesus into Egypt. 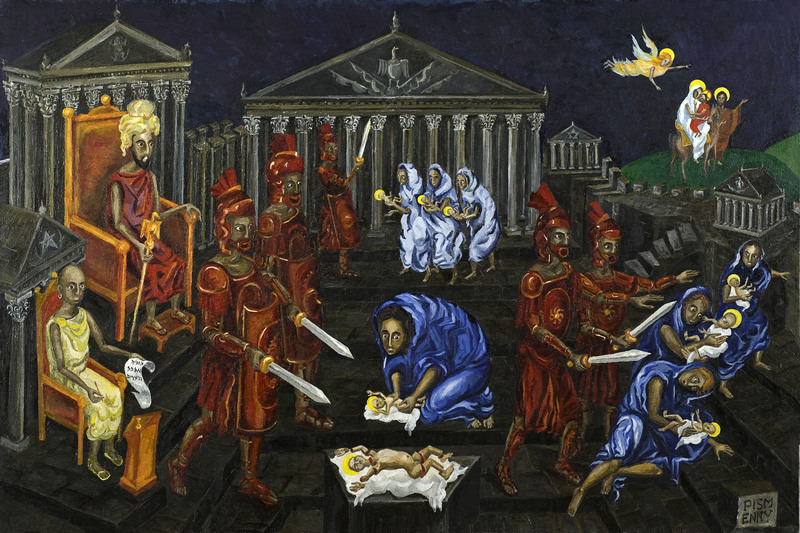 In this way, God spoiled Herod’s plans to harm little Baby Jesus. When Herod realized that the Wise Men had not come back to him, he became very angry. He was an evil, horrible man, and now the fear of losing his throne made him worse. He sent his soldiers to kill all the little baby boys of Bethlehem in the hope of killing Jesus too. The soldiers had to obey his order. There was great sorrow in the little town of Bethlehem, as mothers wept when their beloved babies were killed. These little children are honored today by the Church as martyrs. 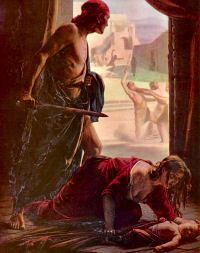 They are called the Holy Innocents.